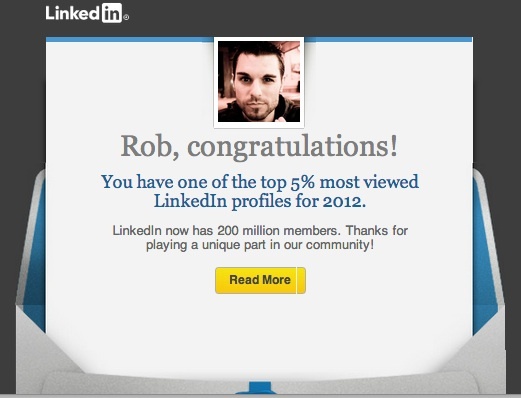 Did you get an email this past week naming your LinkedIn profile as a top 1, 5 or 10% most viewed? Makes you feel like a big deal. Nothing wrong with that! This small gesture from LinkedIn, to celebrate hitting the 200 Million mark, not only reinforced the preexisting network, but created a ton of buzz. 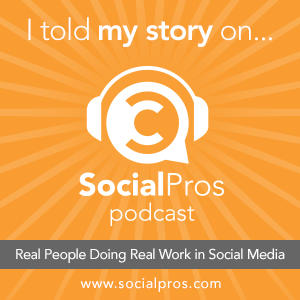 People were proudly posting on their other social sites what percent they fell in, friends chimed in whether they received a notification, and suddenly LinkedIn was on the lips and in front of the eyes of social media users everywhere, whether they use LinkedIn or not. They did it all without a new technological development, without sinking thousands of dollars in a new ad campaign, they did it by saying “Hey, you. Person that’s part of our network. Thanks for being awesome.” Sure, haters gonna hate and say “They sent that out to millions of other people,” but that’s irrelevant. I just wanna say “Oh you didn’t get an email? I feel bad for ya son. I got 99 Problems, but LinkedIn ain’t one!” What matters to me, is that they sent it to me, and reinforced my usage of their product. This is perhaps an idea that others should take and run with, whether it’s with customer or employees. A little appreciation can go a long way. What do you think? Did you get one of these emails, or did you see a lot of others talking about the fact that they did? Chime in below in the comments. Mostly I noticed a negative reaction, as in “What, as if Endorsements aren’t meaningless enough?” I tend to agree. I think LInkedIn is a great platform, but it seems to want to tart itself up with new features that have more image value than real value. I agree, but it has to be tough being the professional, grown up network vying for what little attention spans we have online. I’ve always been a proponent of LinkedIn, and I think they’ve really come a long way. Sure, some of the ideas have been meh (I really feel like endorsements are just the equivalent of liking the fact that I said I was good at something). When a lot of the people on there are using the platform for job searching and networking in this very crowded space, I think everybody could use a little ego boost! Great to hear from you.